1.89 Carat 14K White Gold Double Halo Diamond Engagement Ring. 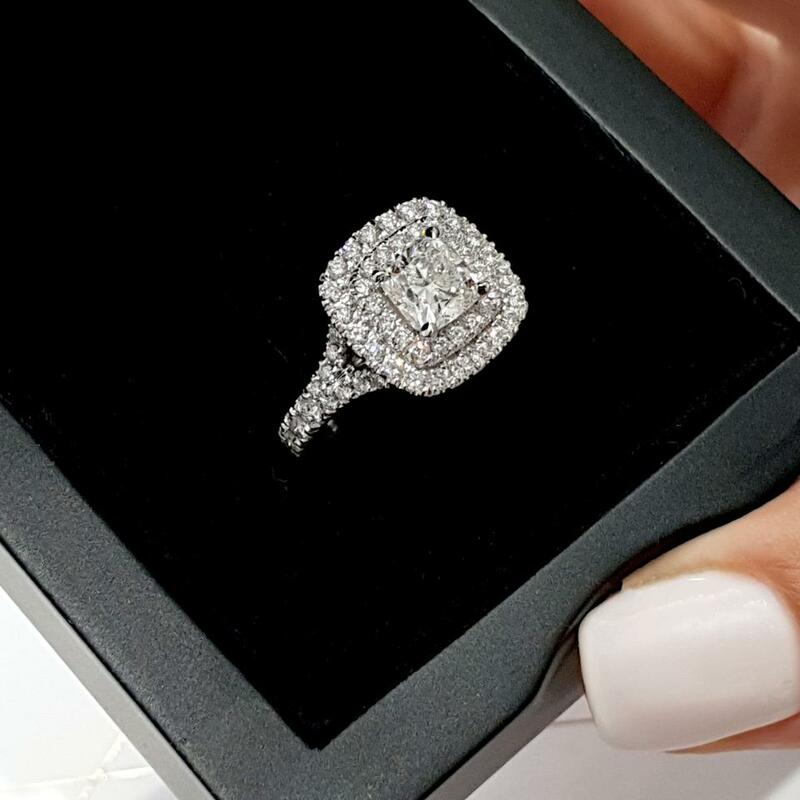 Main Stone is a Beautiful, Eye Clean and Sparkly 1.01 Carat E VS2 Cushion Shaped Diamond. 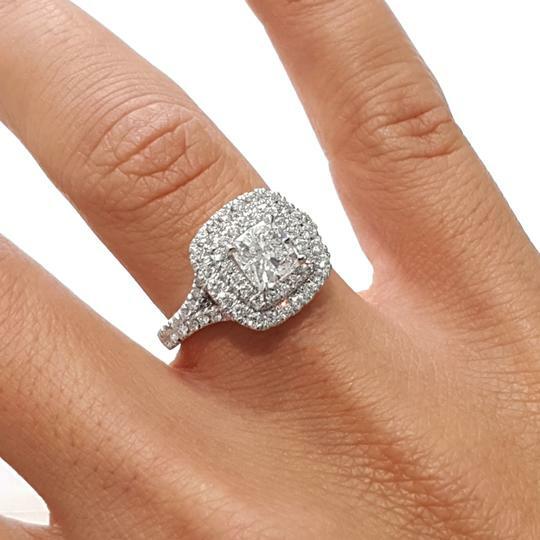 Side Diamonds are 72 x 0.01 + 8 x 0.02 Ct of Natural Diamonds, Giving a total weight of 1.89 Carat. 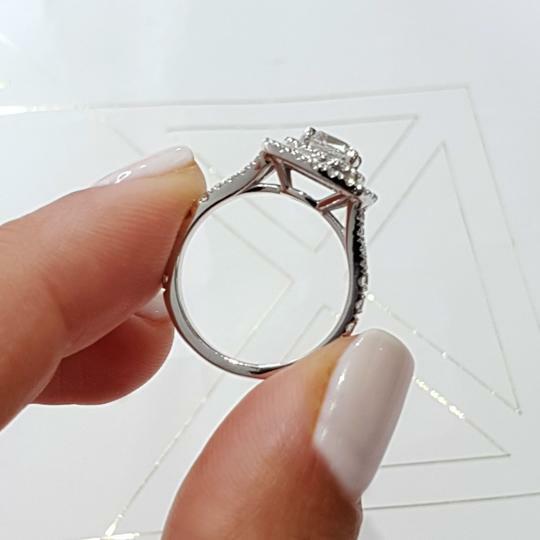 Ring Weight is 4 grams. 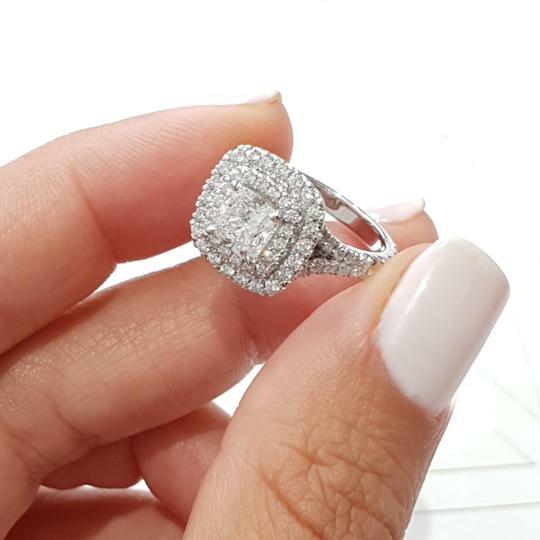 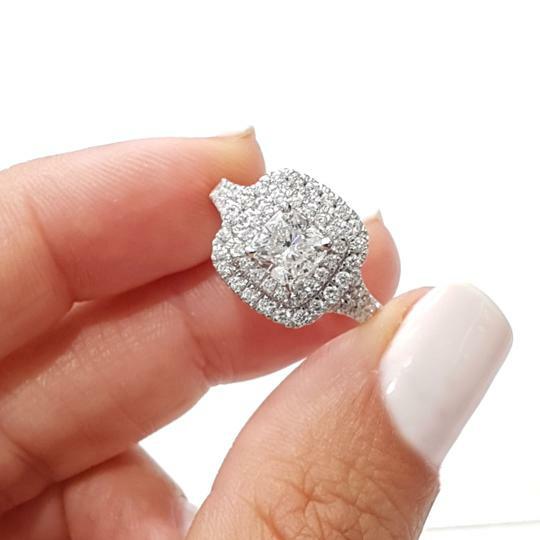 Each Order Comes with Certification, 5 years' gold warranty, 30-day Money Back Guarantee, Elegant Ring Box, Free Ring sizing (can take 3-4 days to size it), Free Expedited & Insured Delivery and more... For more details, please contact us - BestBrilliance Team!